even love the Rosegold hands. It works well with this dial. and it comes in a beautiful box. cherry-on-top is this model is the last Paneristi designed by outgoing CEO Angelo Bonati. And it checks all the boxes for me. 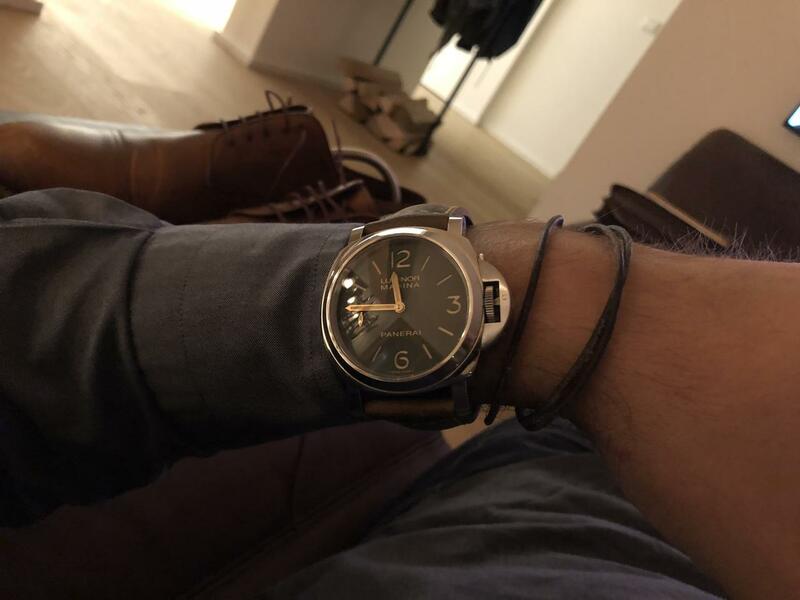 Excellent first Panerai! I agree, that green dial is something special. Glad to see what you finally decided on! It was neat seeing your Submersible thread and now getting this! Hope you enjoy it for years to come. Very nice , did you get it from the boutique or grey market? 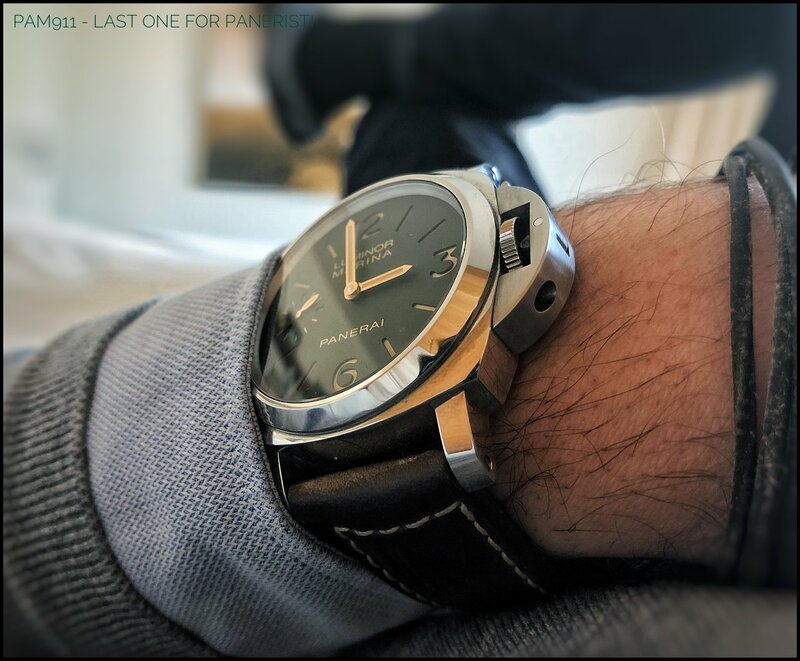 Great entry into the world of Panerai! one thing i appreciate is the high visibility of the hands against the clean dial. not sure if all Pams are like this or its because of the RG hands. Anyways, compared to this, my Rolex dials are so cluttered. Here is a pic during twilight. I was late to the game.. and none of the Boutiques had one in stock or expecting one. Considering i can get 20-25% off regular Panerais at the AD, I definitely over-paid. However, I am still happy with my decision. 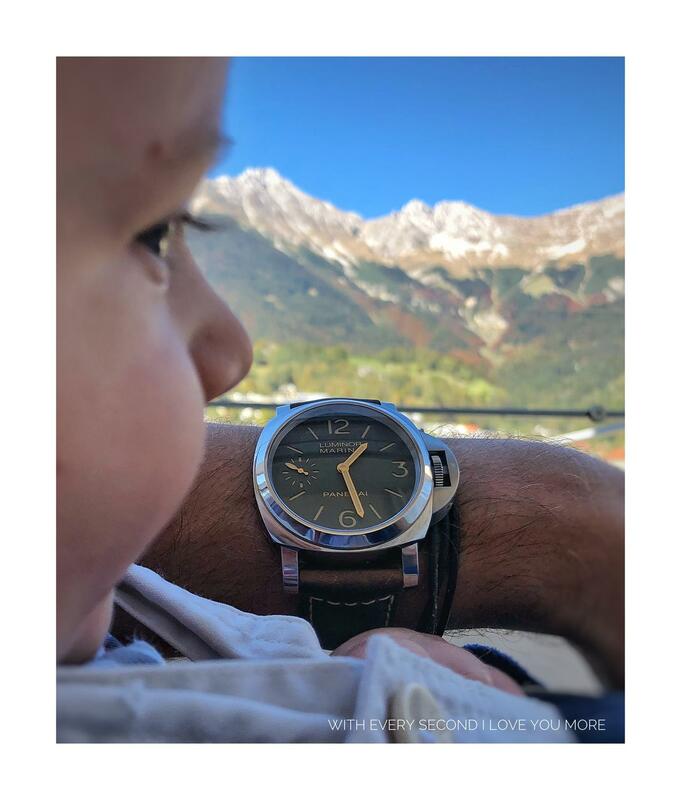 wonderful watch, congrats, i love mine. something about that rosegold hands with that greyish olive green that goes so well together. I m pretty sure it’s a domed sapphire on 911, albeit a slight dome. That baby has a huge arm! Huge congrats! 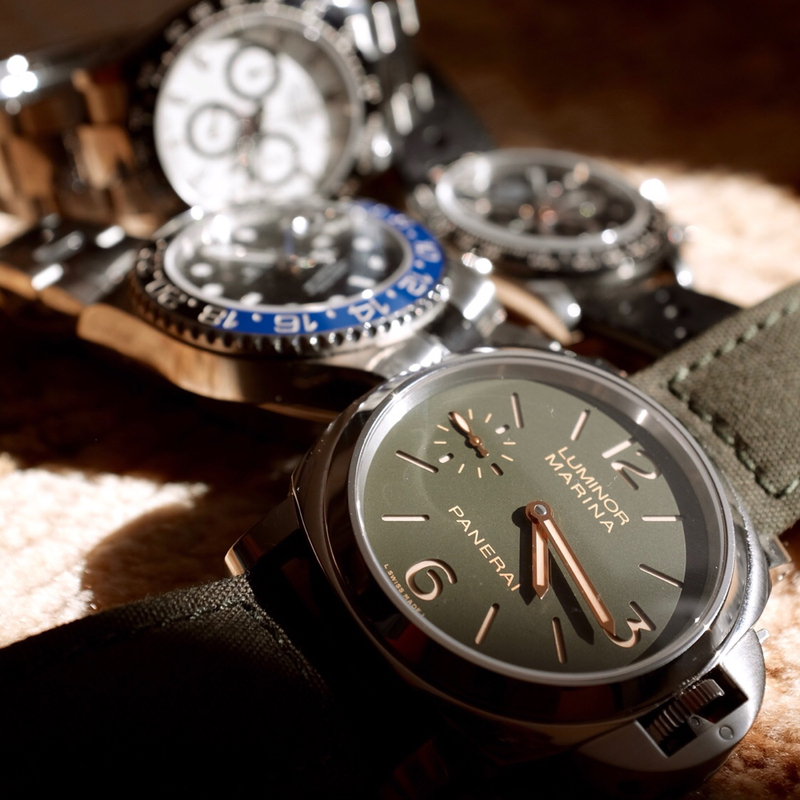 Panerai did a great job on this release. Quite beautiful. Nice first PAM. Congrats! Nice. Just got my 911 as well. This is the first OEM leather strap that I haven't wanted to change. I m still in honeymoon phase with mine.